Some diesel carmakers face lawsuits alleging they cheated on auto emissions tests, making their vehicles appear more environmentally friendly than they were. At issue are certain diesel vehicles, which reportedly used defeat devices and other tactics to ensure they passed emissions tests when under regular driving conditions the cars emitted more chemicals than allowed. Auto emissions lawsuits have been filed against some car makers, alleging consumers were tricked into buying vehicles that were not as environmentally friendly as they were advertised. Send your Auto Emissions claim to a lawyer who will review your claim at NO COST or obligation. Under the Clean Air Act, vehicles are only allowed to emit a certain level of pollution. 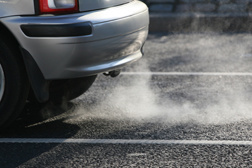 Vehicles undergo testing to ensure they do not emit more pollution than legally allowed. Some vehicle makers are accused of using defeat devices or other illegal means to make it appear their vehicles emitted less pollution than they do under real-world conditions. On September 18, 2015, Volkswagen announced a recall of certain diesel vehicles after allegations were raised that it used defeat devices to pass emissions tests. According to reports, Volkswagen admitted to using software that made it seem vehicle emissions were well within legal limits when under normal driving conditions—while the devices were off—the cars emitted up to 40 times the pollution allowed by the Clean Air Act. Vehicle owners were advised to take their vehicles to Volkswagen and have their vehicles repaired at no cost. Mercedes-Benz faces allegations that it knowingly used a defeat device in certain diesel vehicles to pass emissions tests. According to reports, the luxury carmaker used a device in its BlueTec cars that allows pollution controls to turn off at temperatures lower than 50 degrees Fahrenheit. When subject to on-road testing, however, those same Mercedes-Benz vehicles reportedly emitted as much as 19 times the US standard for nitrogen oxide. Lawsuits have been filed against Volkswagen and Mercedes Benz, alleging consumers were misled into purchasing vehicles that were not as environmentally friendly as they thought. They further allege that fixes to the vehicles will affect vehicle performance, gas mileage, and financial value. Included in the Mercedes-Benz lawsuits are clean diesel vehicles, including the ML350 and 320 SUVs, the E- and S-Class cars, and GLE crossovers. Volkswagen also faces lawsuits filed by various states alleging the company violated consumer protection laws. If you or a loved one has suffered similar damages or injuries, please click the link below and your complaint will be sent to a automotive lawyer who may evaluate your claim at no cost or obligation. 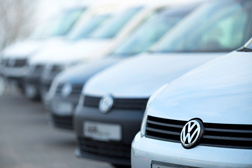 Volkswagen Facing Nationwide Lawsuit Over Env..